The good news? 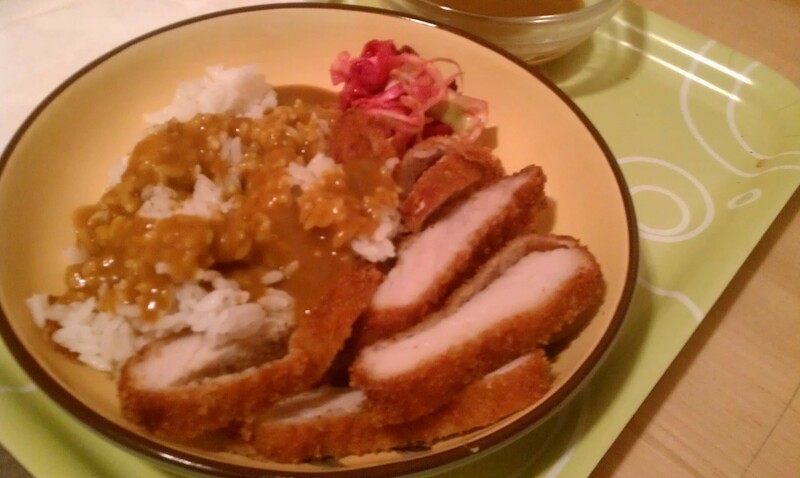 A Japanese curry place has opened up right down the block from my apartment. Yum! The bad news? A Japanese curry place has opened up right down the block from apartment. And deep fried pork in curry sauce is unlikely to have a desirable affect on my slimming regimen. But be that as it may, Kare-Ken is delicious. 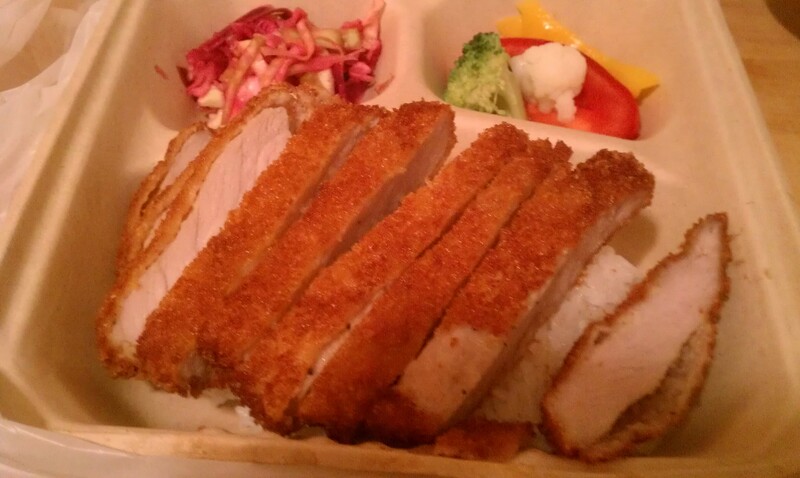 Went for the first time on Friday evening and got a to-go order of pork katsu served on rice with a sweet and spicy curry sauce and a side of tangy cabbage slaw. It was hearty and delicious and only $8.50. I will be back – probably with some frequency. And I guess I’ll have to increase the frequency of my gym visits so I don’t wind up skinny-fatter than I am today.